Prominent Chinese actress Fan Bingbing hasn’t been seen in public or posted on social media in a month. She was accused of tax evasion earlier this year. A Chinese newspaper reported last week that state authorities were investigating her case and had stopped her from leaving the country. That report was deleted from the internet shortly after it was published. All other reports and social media posts speculating on Fan’s case and whereabouts appear to have been scrubbed from Chinese news and social media sites, as well. Fans are growing concerned after a prominent Chinese actress who disappeared from the public eye, and state media has censored articles speculating on her whereabouts. Fan Bingbing, who played Blink in the 2014 film “X-Men: Days of Future Past,” has not been seen in public since July 1, the BBC reported. She also hasn’t posted on Weibo since June 2, although her last activity on the microblogging platform was on July 23, when her account was seen liking multiple posts. The actress previously posted at least once a day, making her silence even more disconcerting among her followers. Fan’s silence comes after Cui Yongyuan, a former TV host with the state-owned China Central Television, suggested that the actress had signed secret contracts with a Chinese entertainment company to avoid paying taxes. 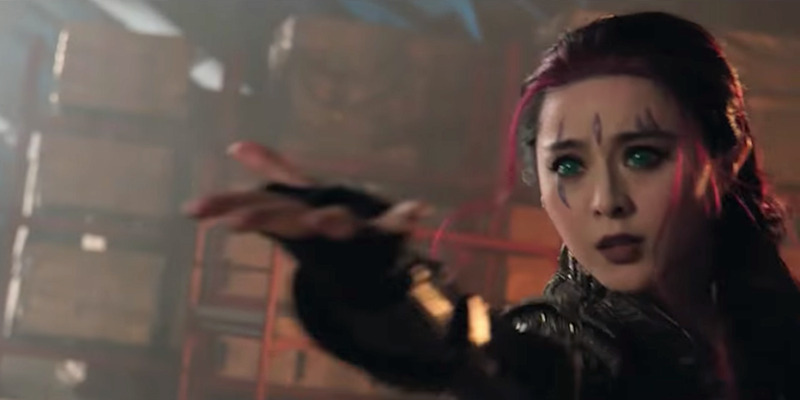 X-Men Movies/YouTubeFan played Blink in ‘X-Men: Days of Future Past’ in 2014. In May, Cui hinted a female celebrity had signed two contracts: One for 10 million yuan, which was used for her taxes, and another for 50 million yuan, which was kept secret, the Straits Times reported. These are referred to as “yin-yang contracts”, likely named because one contract is public and the other is not. In Chinese, yin means dark and yang means light. Fan’s office later released a statement accusing Cui of insinuation and defamation, and Cui later apologised, the Straits Times said. In early June, Chinese authorities issued guidelines calling on state media not to report on “yin-yang contracts” or tax issues facing people in the country’s entertainment industry. The censorship instructions were later leaked and republished on China Digital Times, a California-based news site that focuses on China. The Chinese government often sends similar bulletins to journalists in state media. Andreas Rentz/GettyFan at the 2017 Cannes film festival. In late July, independent Chinese newspaper The Economic Observer reported that police in Jiangsu province were examining Fan’s financial case, and that several of Fan’s staff were also under police investigation. It also reported that Fan and her brother, Fan Chengcheng, were barred from leaving the country. Then, shortly after publication, the Economic Observer report was taken offline, according to foreign outlets, including Hong Kong’s Ming Pao newspaper and the BBC. Posts about Fan’s whereabouts were also censored from social media, noted Free Weibo, a website that tracks social media censorship in China. The BBC reported seeing comments from Fan’s supporters expressing their support and concern, but those posts also appear to have been deleted as of Thursday afternoon. Chinese media couldn’t reach Fan, her production company, nor her agent, the Associated Press reported. Criminal cases have destroyed Chinese celebrities in the past, as the Communist Party has ultimate control over the country’s entertainment industry and can blacklist people it deems criminals. China also routinely censors from its internet keywords and posts that could challenge public order or stability.